A gubernatorial aspirant of the People’s Democratic Party (PDP) in Oyo State, Seyi Makinde has criticised the recent actions of Governor Abiola Ajimobi, the State governor in the Fresh FM saga. Makinde said Ajimobi acts with impunity and treats Oyo State as his personal empire instead of serving the people as he was elected to do. It will be recalled that on Sunday, August 19, agents of the State demolished part of the buildings of Fresh FM station owned by popular gospel musician, Yinka Ayefele. The demolition was carried out at day break because of the claim that the buildings contravened town planning laws. This was done despite a court case instituted by Ayefele to stop the planned demolition for which a hearing was fixed for Monday, August 20, the day after the demolition. The State government initially denied that they authorised the demolition and promised to fish out the perpetrators. However, after condemnation from the masses and sundry interests, Governor Ajimobi called a truce on the matter and arranged for a meeting with Ayefele. 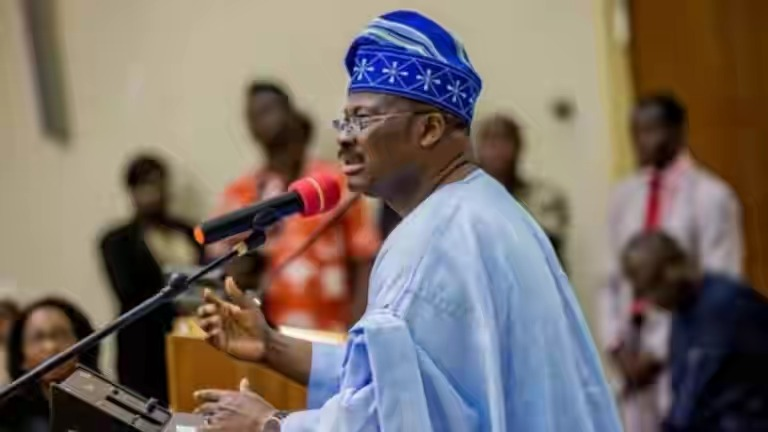 Reports have now emerged that Ajimobi has promised that his administration would rebuild the demolished buildings again, at a reception organised to mark the 90th birthday of the Olubadan of Ibadanland, Oba Saliu Akanmu Adetunji, on Sunday, August 26. “Should scarce public funds be wasted in this manner because of the governor’s ego, at a time when critical sectors of governance are neglected and the State is heavily indebted?” Makinde asked. He called on Oyo State people to see the forthcoming gubernatorial election in 2019 as an opportunity to vote a more sensitive and responsible government into power. LAUTECH Students Protest Hike in School Fees and Victimisation of union leaders.